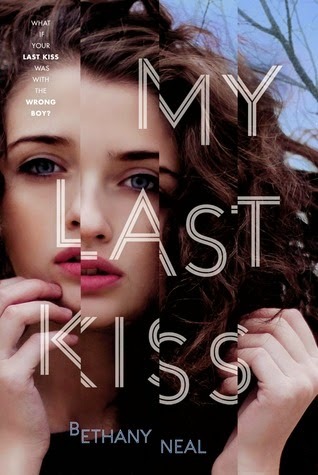 There's nothing quite like a good contemporary mystery, and My Last Kiss was a totally addicting read. I honestly had no idea what to expect from it, but I'm happy to say it exceeded my expectations. It's full of inventive twists, secrets, and drama that rivals Pretty Little Liars. I was completely hooked! The writing was the first thing I really noticed about the story. There was something about the main character Cassidy's voice that I loved; it's so authentic and distinctive. The author really nailed the "teen" voice that many YA books fail to succeed in capturing. And there was the perfect amount of description about the characters and settings. It had just enough details, and yet the story flowed with a good balance of action and suspense. I loved Cassidy as a main character. I was afraid that since she's a ghost, her character wouldn't have much of a purpose or might be boring. On the contrary, I grew to love her character and her determination to discover the truth. I felt her pain when she could do nothing but sit and watch life move on without her. And the flashbacks helped to reveal more about her character. The only thing that bothered me about her was the fact that she's a ghost, but only her boyfriend can see her. That just didn't make sense and wasn't really explained. The plot held my attention. My only complaint is that there were a few scenes every now and then where it felt like nothing important was happening. Otherwise, the story flowed very fast and I honestly couldn't put the book down. The flashbacks, which I would normally find annoying, actually served to increase the suspense. And YAY for a young adult murder mystery where the killer wasn't totally obvious. I had my suspicions on several different characters, but even by the end, I couldn't quite narrow it down to who it really was. I loved the ending - so many twists! This was such an engaging read. I loved the wide cast of characters, the authentic teen voice, and the inventive storyline. I had a few minor quibbles, but overall I loved this debut novel and I can't wait for Bethany Neal to write more books! I'd absolutely recommend this, especially for Pretty Little Liars fans. It's impossible to put down - the perfect summer read!